We’ve been grilling several times a week for the last 2 months and I love it! It’s so much easier to let my husband grill, while the kids play outside and I take care of the rest of the dinner. 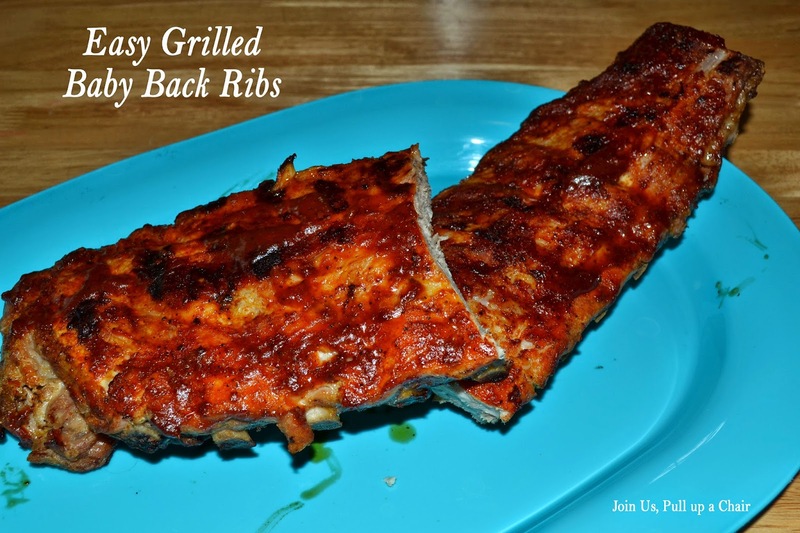 This was the first time we made ribs and they turned out great. I usually don’t buy ribs, but there was a great sale, so it was worth a shot. I found this recipe from the Deen brothers and thought it was different that they are grilled in aluminum foil instead of just thrown on the girl. This spice mix is perfect and we topped ours with a slather of a spicy molasses barbecue sauce. They were delicious and I can’t wait to make them again! In a small bowl, combine the sugar and spices. Remove the membrane from the back of the ribs with a sharp knife. Rub the spice mixture all over the ribs to coat evenly and place into a large resealable plastic bag. Refrigerate overnight, turning the bag occasionally throughout the day. When ready to grill, heat the grill to medium heat. Remove the ribs from the bag and place each one on a large piece of aluminum foil. Wrap and place on the grill. Grill covered for 25 minutes and then turn the packets over and grill for another 25 minutes. Test the doneness of the meat by poking a fork between the bones. The meat should be tender and if not done, cook for another 10 to 15 minutes until the meat is fork tender. Carefully remove the ribs from the foil and place on the grill to cook for another 2 to 3 minutes until the ribs start to become crispy. Remove and place on a serving plate. Allow to cool for 10 minutes before cutting them into individual ribs.